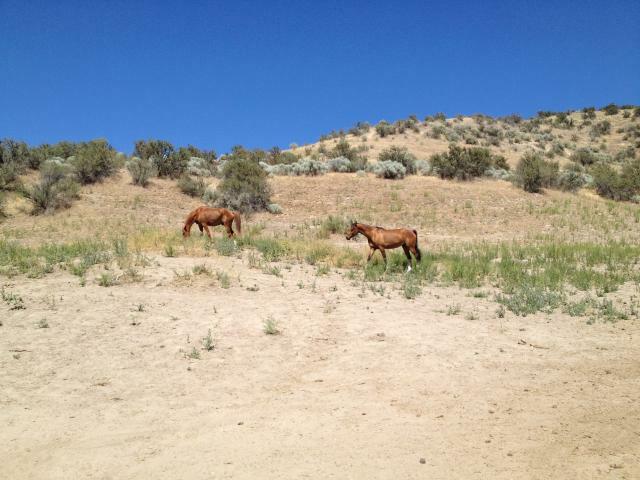 For the last 8 or 9 years, my horses have been living the American Dream: large (laaaaaarge) acreage, constant forage, sand holes for napping, sagebrush for scratching, draws for hiding and hills to bomb down. Their bodies, minds and feet are healthy. Sure, they get dirty, yes, sometimes they get scratched up and yeah, it can be a long walk to find them, but it is the way horses were designed to live. However, some horses feel they were born with a silver spoon and never truly adjust. I think throughout the years, there have been maybe three who you knew they would really rather come into a comfy cozy stall at night. Topper and Chant doing what they do. Chant frequently dives off the top of that hill, crashing through the brush. Topper prefers to take the path. Of course, Topper is one of them. He does well at “The Ranch.” Has his own little (20 acre) pasture with his mare and his b*tch. He enjoys sleeping in his sand hole, visiting with his buddies over the fence, bossing around his pasture-mates and playing in the wind. But he’s never felt truly settled. He has a tendency to get a finicky stomach, sometimes picks and snubs his food and is hit or miss when he’s brought out to get feet done, go for a ride or just have some grooming time. He did four or five endurance rides this year as his first season. 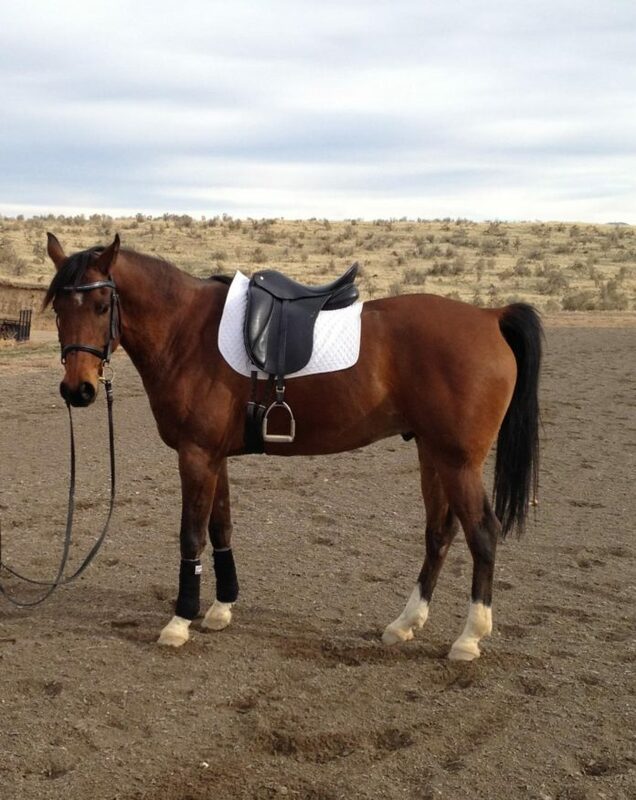 While he did well, I never truly counted on Topper to be my “go-to” endurance horse. My go-to horse? Yes. Endurance horse? Not really. The last ride we did, all I could think about was how wasted this horse’s talent was on the trail. It is not often you find an Arabian with three incredible gaits, much more suited to dressage than endurance. My wheels were spinning, and then, Topper made the decision easy. Several days after his last endurance ride, I ran out to the ranch to find Topper with swelling in his right front leg, and clearly lame. Conveniently the vet came right out (it pays to be married to your vet) but there was too much swelling for any definitive diagnosis. Weeks later, it was clear that Topper banged up his leg and aggravated a nasty splint. Because this horse is the equivalent of my baby, a proactive plan was launched and we would be making a move to give him some R&R to heal up. Topper and his buddy playing over the fence. Topper likes his buddy, but prefers having his own space. Fast-forward three weeks, and Topper is calm and relaxed in his new 20×30 sand-filled pen at a barn just ten minutes up the road. Well played, Topper, well played. After the initial healing and rehab, we’ll be moving to a dressage barn where I’ll be allowed to be a little bit DQ and he’ll live in a cozy stall with a run at night, and pasture turnout during the day. 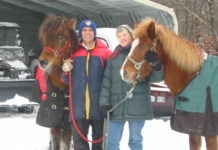 My other two endurance horses will stay at the ranch and I’ll be fortunate enough to play in both sports, God-willing. 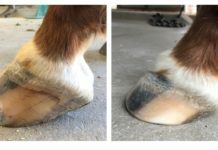 The one aspect of this new boarding situation that I was and am concerned about is Topper’s feet with limited movement and such gentle footing. 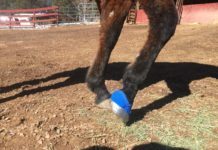 However, as I figure this is really a better representation of horse-keeping in the modern world, it will be an interesting experiment in dealing with footcare and barefoot riding in less than ideal living situations, like the ranch offers. While Topper won’t be expected to traverse 50+ miles over varied terrain and footing, he’ll have to deal with living in sand, to walking across sharp gravel, to doing most of his exercise in more sand. Currently, he is pretty tentative over the gravel. Hopefully short stints of walking on gravel will condition his feet to that footing, and meanwhile, I’ve been trying a few different trimming techniques which I’ll blog about later. Always learning, always changing, always evolving. Bring it on!